The Boston Bruins lost Zdeno Chara to a lower body injury during Wednesday’s game in Colorado. The veteran defenseman took an awkward fall while finishing a check and did not return to the game. He’s been sent home to Boston for further evaluation by the team’s doctors and is out of the team’s lineup indefinitely. 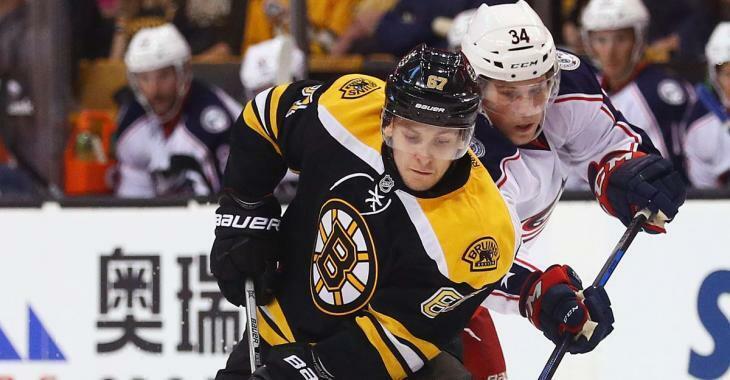 If Chara misses any significant length of time he’ll join fellow B’s blue liners Kevan Miller, Charlie McAvoy, Urho Vaakanainen and Brandon Carlo on the injured reserve. In effect, the Bruins are missing their top three right sided defensemen… and their top pairing altogether. It remains to be seen if the Stars will be able to take advantage of the Bruins' depleted roster, especially on defense. Bruins fans will finally get to see what 2015 1st round pick Jakub Zboril can do as he is slated to make his debut for Boston tonight. Zboril has played in 13 games in Providence this season and has two goals and two assists.